Simon Says: Guys Can Use Makeup Remover Too! Guys Can Use Makeup Remover Too! Two years ago when I went to Hong Kong and stayed in my aunt's house, my cousin sister taught me that before cleaning my face with facial cleanser, I need to remove the dust and impurities using a makeup remover first. I told here that I don't wear makeup, why do I need to use a makeup remover? She then told me to use her Bioderma H2O based makeup remover. Indeed, after cleaning my face with Bioderma, what I saw on the cotton is dark coloured impurities, oil and dust. That's what one day going outside our polluted city will do to our face. Too bad Bioderma is not available in Malaysia, so my next trip to Hong Kong this will be on my shopping list. I like the fact that Bioderma is water based and not oil based so it won't have an irritating after feel and it's very suitable for guys that don't put on makeup to use as a per-cleansing cleanser. This is how the cotton looks like after cleaning the face with Bioderma Makeup Remover. After makeup remover, I then will use a facial cleanser to clean my face. I have no particular brand of cleanser that I use but my cousin sister is using Amway Artistry line of cleanser. She said it's the most suitable and effective on her skin. After using the facial cleanser, twice or thrice a week, I will use a scrub for deep cleansing until I was introduced to Sothys Desquacrem by the beautician from Beauty Works. It's a cream that does deep cleansing like a scrub but without those tiny beads that normally found in a scrub. In short, it works like or better than a scrub but doesn't hurt your skin like one. I fell in love with Desquacrem immediately. I was given a sample to use at home, will surely go back to Beauty Works to purchase one after I finished the sample. After that, it is of course time to use a toner to make the pores smaller or once or twice a week use a cleansing and hydrating mask or both masks. Lastly if of course the moisturizer and if you have the money, then you might spend on some night or day serum. Now you know why your girl friend takes a long time in the bathroom. So that they can look good even without makeup. Hey totally agree w u! I think all guys should take care of their skin & use good reliable products like this too! NigaHiga The 1st YouTube Channel To Hit 3 million Subscribers!! 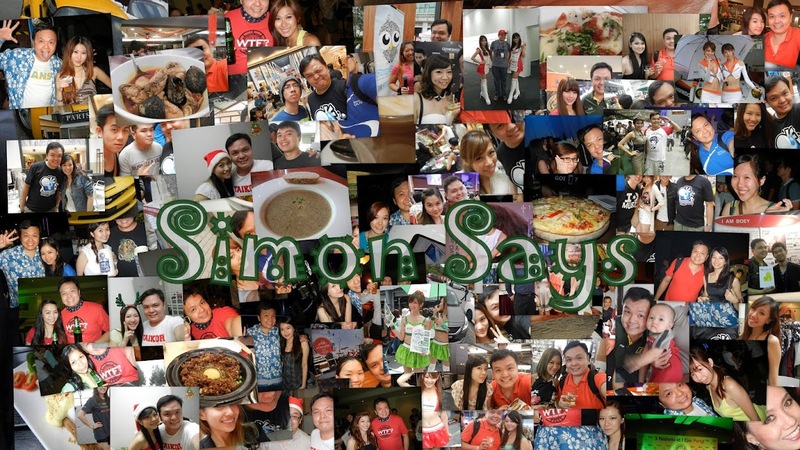 Simon Says by htpp://simonseow.blogspot.com is licensed under a Creative Commons Attribution 2.5 Malaysia License.